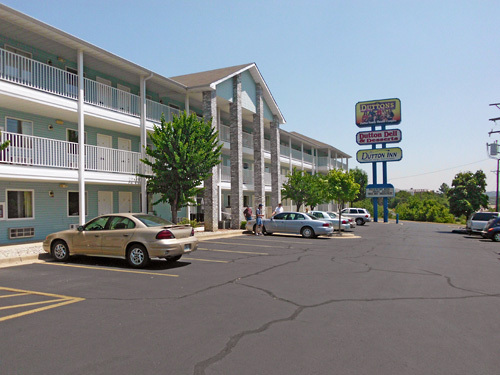 Offering simple accommodations with plush pillow-top mattresses, in-room refrigerators, microwaves and more, Dutton Inn provides all the comforts of home while traveling to Branson. 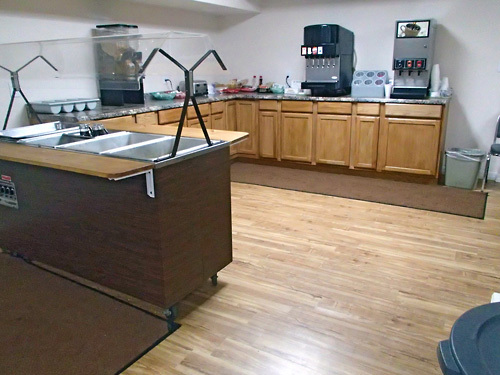 Guests can enjoy a variety of complimentary amenities, including Internet access, hot continental breakfast served daily, cable TV, business center access, guest laundry facilities, and more. Across the street from White Water. Easy access to Silver Dollar City. Within walking distance of The Track, CiCi's Pizza and Ripley's Believe It or Not. Location! Location! Location! 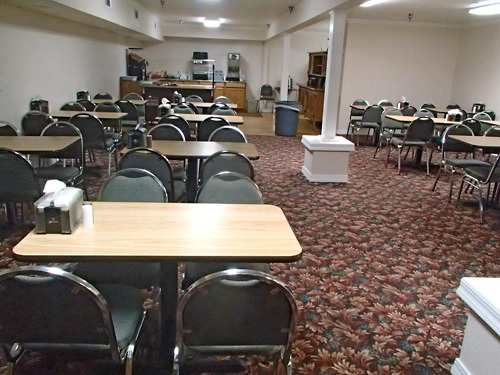 The Dutton Inn is located on Hwy 76 right behind The Dutton Family Theater, by White Water with access to the Yellow Route which is a traffic relief route designed to get you around the traffic. Our rooms are newly remolded. Choose from firm or pillow top mattresses, where you can kick back and watch your favorite shows on the flat-screen TV. Our bathrooms have granite countertops and all our rooms have mini-fridge and microwave. Night Clerk will be on site after hours for emergencies. We have a gift shop at the Inn that is supplied by Abby's Tourist Trap. Abby's Tourist Trap, a gift shop located at The Dutton Family Theater Complex offers great Branson souvenirs, jewelry, fudge made on site, and $1 soft serve ice-cream. We even have a Walgreens within a mile of our Inn. So come and stay where you can play without getting in the traffic unless you choose to get in the traffic that is! 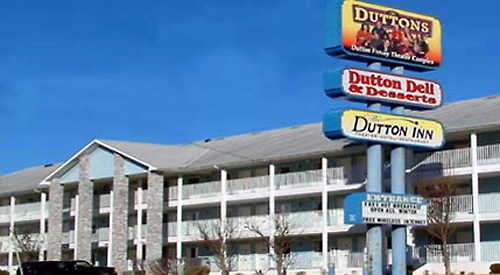 How many rooms are available at Dutton Inn? There are a total of 69 rooms. All units are located in one, main building. Are adjoining rooms are available at your property? Abby's Tourist Trap offers desserts and is located on site. Yes, guests must be a minimum of 21 years old. Are there any resort or unit fees? Is the Dutton Inn pet friendly? Yes, there is $5 fee for roll-a-ways and pack and plays. There are mini-fridge and microwave in every room at no charge. A pool is not available. An asphalt parking lot with spaces close to rooms. Yes, although prior notice is needed. A gift shop is located on site. Yes, access is available free of charge.